He was awake the whole time and in such a good mood which made this session an absolute breeze. 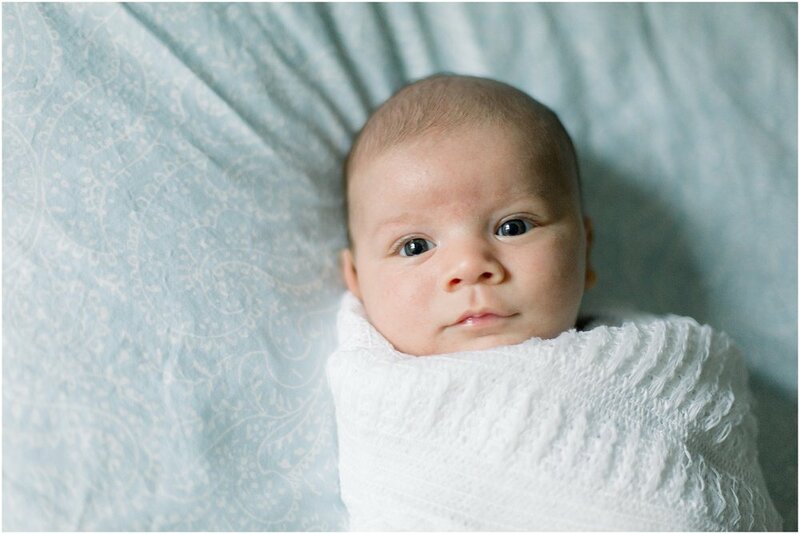 I absolutely love the photos of him all wrapped up like a little bug in his blanket! Lifestyle in home sessions have quickly become my favorite because if you ever move out of that home or even paint over the nursery, you will always have those memories captured forever of exactly what it looked like (not to mention Michelle has his nursery decorated like a pro! ).